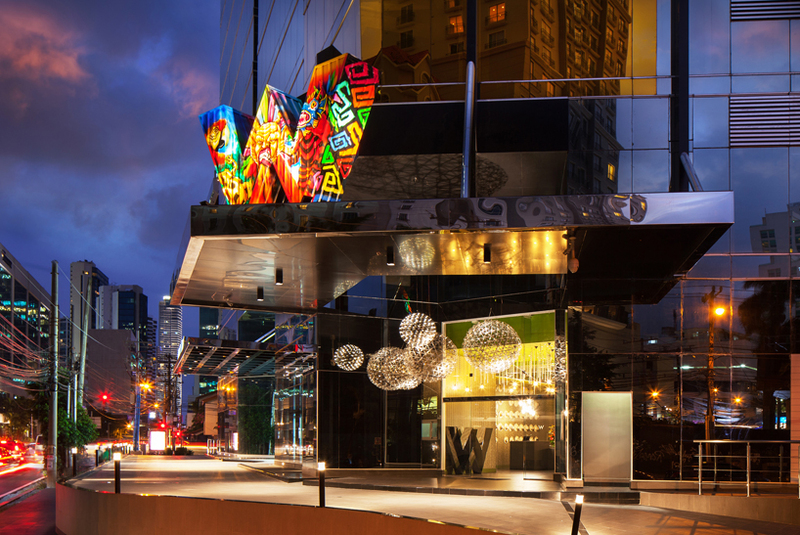 one of W hotels worldwide, ‘W panama‘ opened on march 1st, 2018 as the first hotel of the luxury brand in central america. 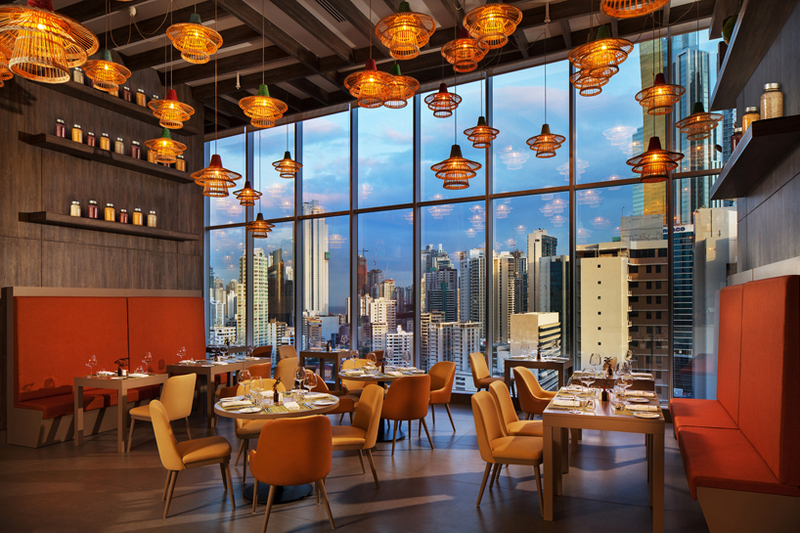 located in the heart of panama city, the 203-guest room hotel is designed by studio gaia with distinct hues and textural contrasts. 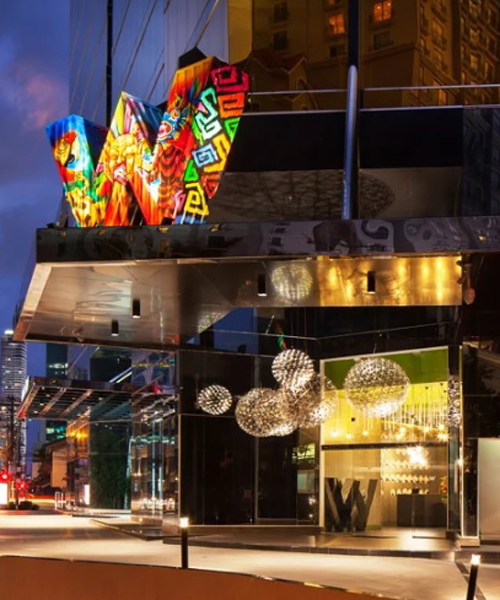 W panama harmonizes the city’s past and present, especially emphasizing the iconic panama canal while integrating the country’s history and colorful indigenous patterns. 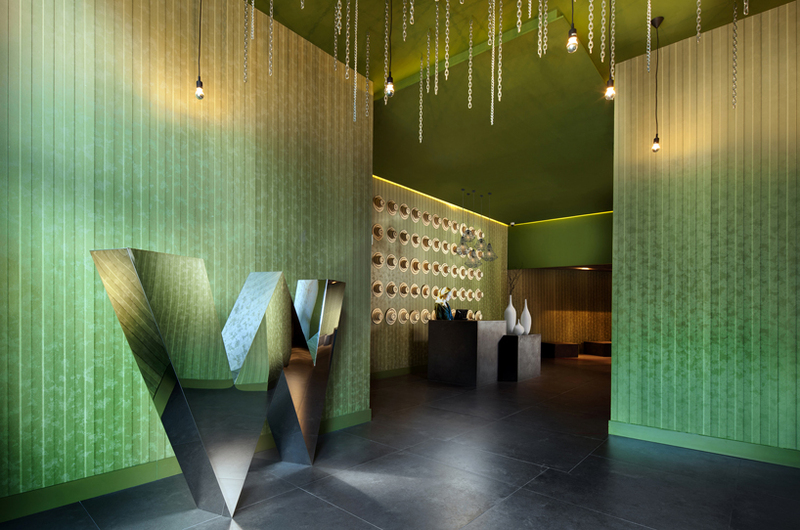 guests are welcomed to W panama on the 15th floor where you are greeted by new york and seoul based studio gaia‘s playful modern design. 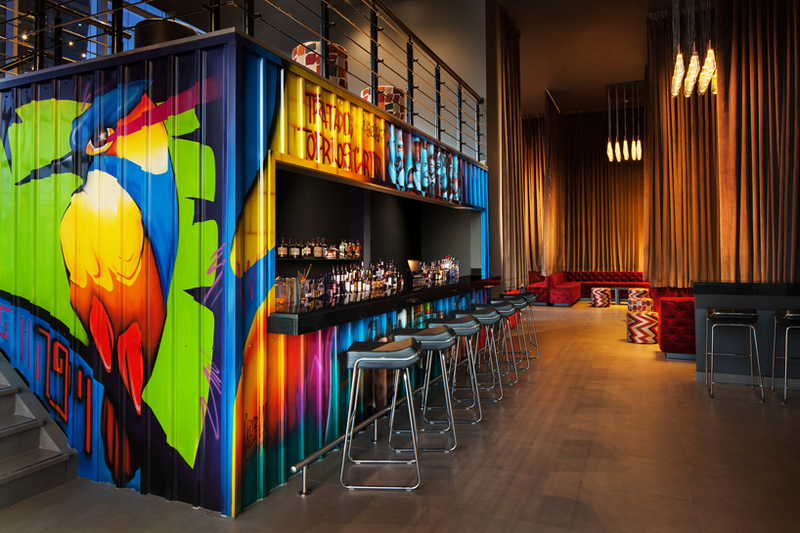 the hotel transforms the industrial look of shipping containers, which can be found easily along the panama canal, with an original graffiti twist by panamanian artist oscar melgar. 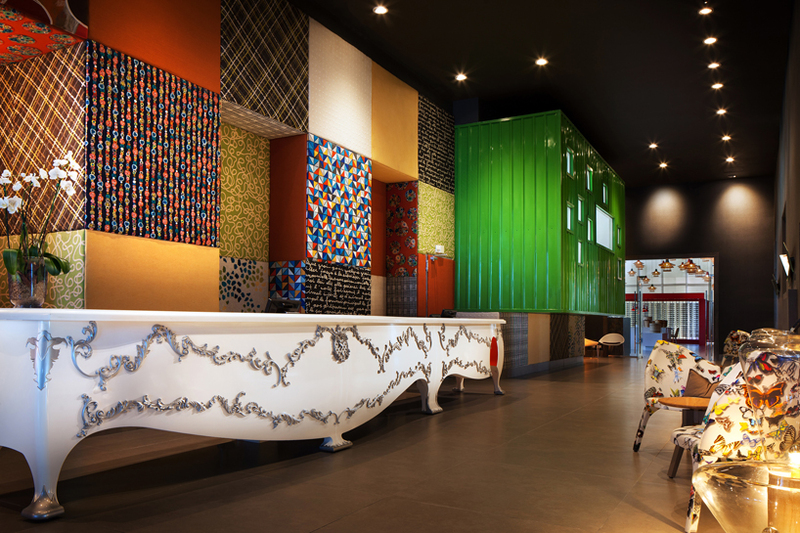 the five shipping containers found throughout the hotel are the main destinations, where they attract the guests to mingle and enjoy. 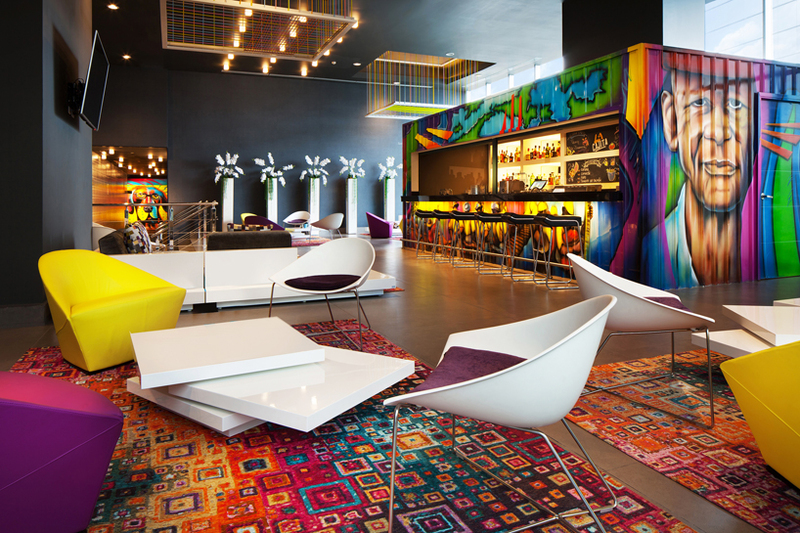 these objects are located in the hotel’s living room, wet deck, and the destination bar which is called ‘the cargo’. 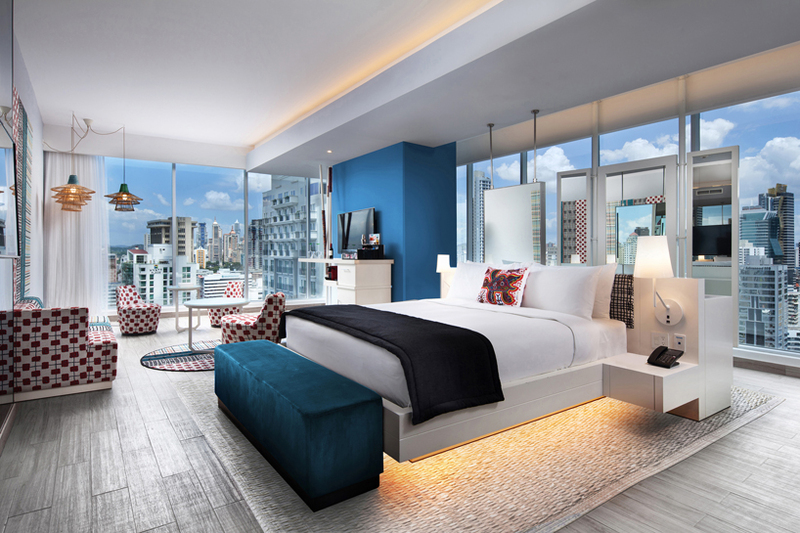 a total of 203 guest rooms with 32 suites offer a fantastic view of the panama bay and canal. 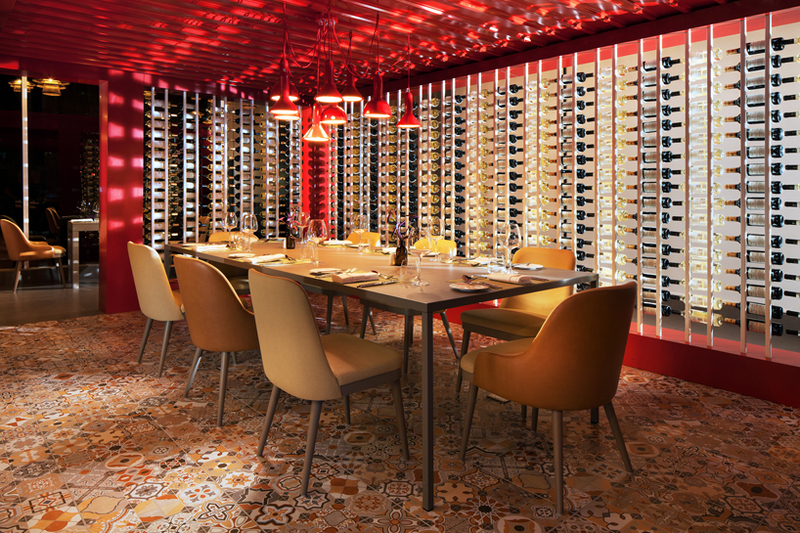 the interior space is furnished with modern twists of handmade ‘mola’ fabrics and patterns from the guna and embera indigenous communities, together with expressive murals. 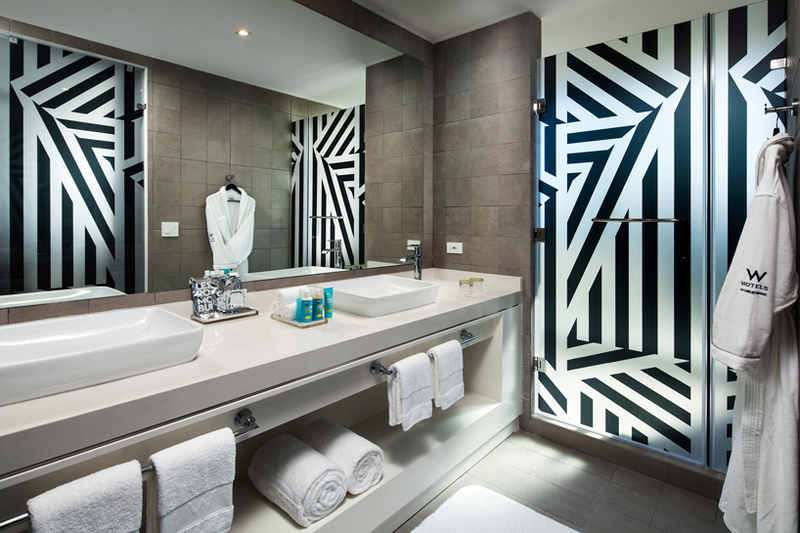 the white hotel rooms are spacious enough to relax and include well-articulated modern bathrooms and dressing areas, allowing guests to get ready for their special night. 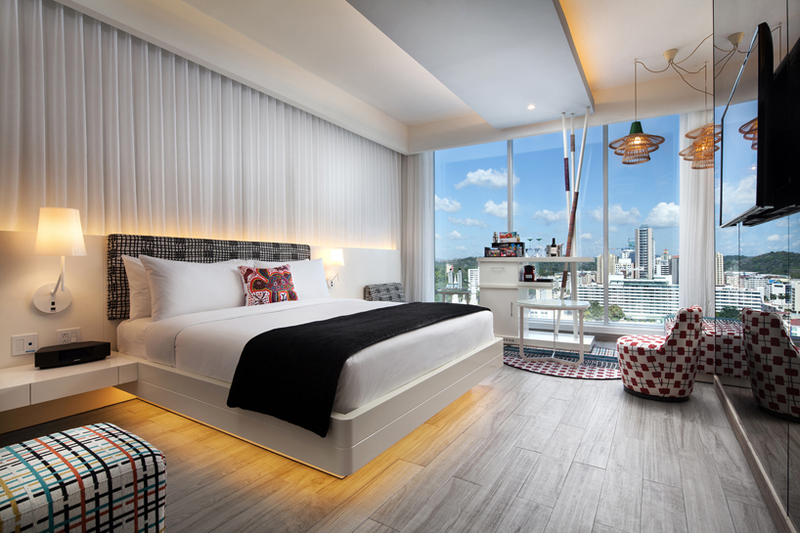 also, visitors can enjoy the facilities of the hotel where you can recharge batteries at the fitness center or ease off with the luxurious treatments at the ‘away spa’. 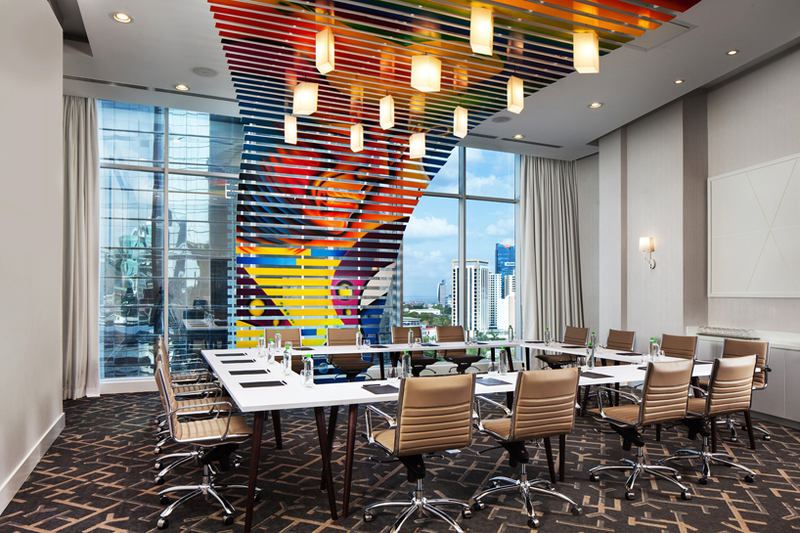 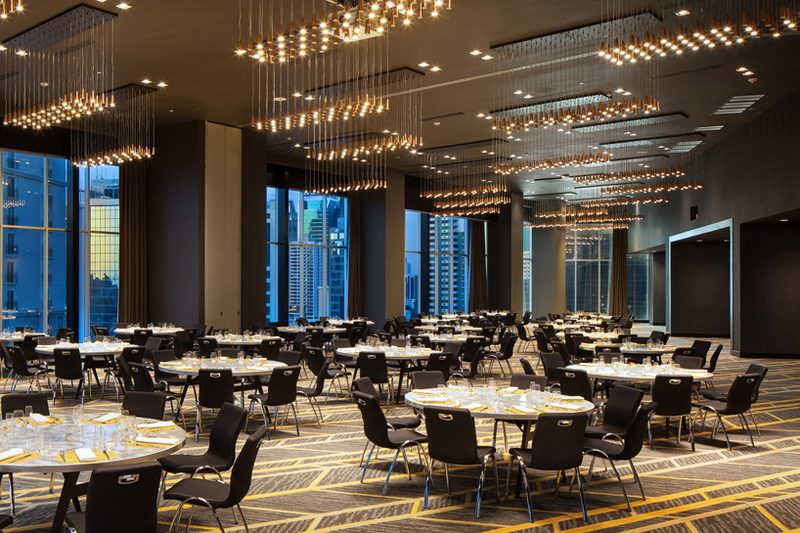 studio gaia’s W panama also offers versatile meeting rooms and event spaces large enough to host the city’s most important activities.